This apparent tragedy was prophesied to lead Santa to his destiny as the ultimate force of righteousness on Earth! Saint Nicholas was resurrected by his Archangel Father Sarandiel by the authority of Heaven. He returned to Earth with his complete compliment of Angelic powers as the Father Of Christmas who is known to be the most powerful supernatural being on this planet! Even though he has the power to revert his biological form to a younger looking status he chooses to remain as the image of his seventy-something self to remain humble, pay homage to his humanity, and project a fatherly image to all with love in their hearts! Of course, he’s an extremely healthy, and gleeful glowing looking senior citizen with a massively muscular physique! The vast majority of the time a human procreating with an Angel is considered blasphemy, and the child is a Nephilim marked for termination. Usually, this is warranted since Nephilim have a nasty habit of turning out evil. Although there is occasionally a good one such as the infamous Paul Bunyan. They say poor old Paul is still on the run from Heaven while constantly being courted by Hell to join their dark cause. Come on Archangels grant Big Bunyan a pardon, and bless him as a Demi-Angel! Once in a blue moon, Heaven does bless Angel-Human unions, and the child is then declared a holy sainted Demi-Angel like Saint Nicholas. Unfortunately, they must continually prove their worth to Heaven and earn their right to retain their immortal Angelic powers. 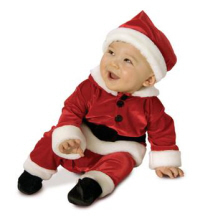 Three days each year Santa Claus must pay homage to his human side, and be completely free of Angel powers. The annual Trials Of Saint Nicholas falling in December is probably the worst time of year to require his attention be diverted on things other than Christmas preparations! Although in a way that is apart of the trial of being human. Having to deal with things not always going your way is apart of life. Thankfully Mrs. Claus, the Chief Elf, adopted Human Elf Son Sandy, his biological son Nick, Jr. take over managing the ramp up to Christmas. During his three days as a mortal human, he is quite vulnerable to potential attack and is not allowed to seek refuge in his mystical North Pole City. Nor is Santa allowed to contact his magical Christmas associates or anyone with higher dimensional based paranormal powers. He is usually at risk from the Anti-Claus but in his human state the monstrous Krampus is also a threat! 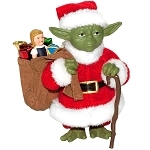 Even the lowly gnome Grinch could cause the weakened Santa harm! You can also throw in some temptations from the Devil himself! 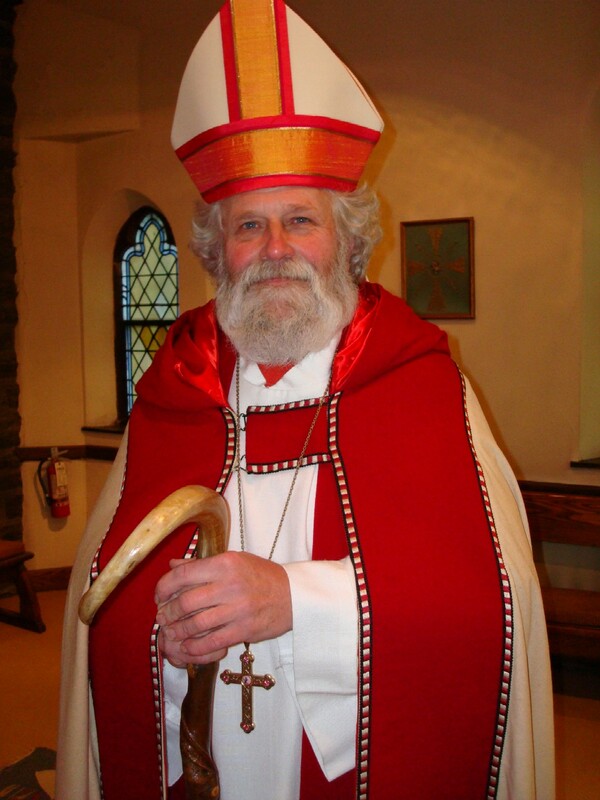 In the late afternoon of December 5th Santa dons his old religious Saint Nicholas Bishop wardrobe. He then holds a special holy service at Saint Nicholas Church in North Pole City. Following this, the Elves organize an early dinner in his honor. He then bids Mrs.Claus, and his kids, Nick Jr & Mary, farewell along with his Elves, and Reindeer as well. This is a journey he must make without them as a yearly rite of passage to continue enjoying his immortal powers with Heaven’s blessing. If he fails he could revert to a Nephilim form or simply become a 70 something human left to live out the rest of his mortal life with no memory of who he was! 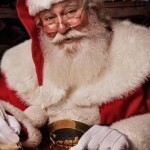 Santa has prepared a Living Will if God forbid he becomes a mortal with no memory of the supernatural world. 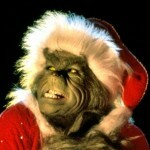 He assigns various people to take over elements of Christmas with his son Nick eventually becoming the new Santa Claus. We pray that a great humanitarian and force of hope never fades away into mundane obscurity! Saint Nicholas takes his giant magical gift satchel, and mounts his white Angelic horse, named Snowflake, to begin making St. Nick Day deliveries. Once Santa leaves North Pole City he is gradually stripped of his holy powers. This means only Snowflake can find, and navigate Angelic portholes to get to homes around the world at light speed. Saint Nick leaves coins and treats in stockings and/or shoes for those who have been good. The ultra exceptional sainted souls get a holy diamond! The ones he rates the purest and selfless receive the honor of having him as a dinner guest for a Midnight Saint Nicks meal. After all, once he turns human he gets very hungry! Whatever time zone that is in is where his three-day test of worthiness begins. The first breaking of bread within the Witching Hour is when the last ounce of his superpowers subside! A unique facet of Saint Nicholas Day is the fact that it’s the only time Santa leaves a gift of disapproval to those who he finds not to be so nice. Those found to be less than stellar get a lump of coal in their stockings as a warning to shape up before Christmas so they can get some sweet gifts! Yes, there’s still time to get on the Nice List…barely! On the other hand, those who get gifts could very well become full of themselves and put their Christmas in jeopardy with an arrogant attitude. Especially if they gloat in front of those who got coal thereby causing them to swim in even more shame. 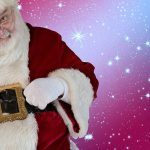 In the past, Santa did leave coal to exceptionally naughty boys, girls, and adults on Christmas but as the population grew he needed to focus on building The Spirit Of Christmas. The non-sapient Spirit is fueled by the revelry of selfless gift giving and the happiness of children who possess the magic of innocence. Spending any energy on the negative does not aid in this mission. 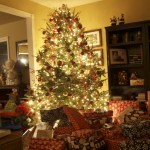 Simply not getting a gift from Santa is enough for people to know they need to become better people in life! Saint Nicholas doesn’t make his deliveries alone. Although his trial is a singular journey he is allowed to name a champion to protect him as his powers drain amid St. Nick Day deliveries. 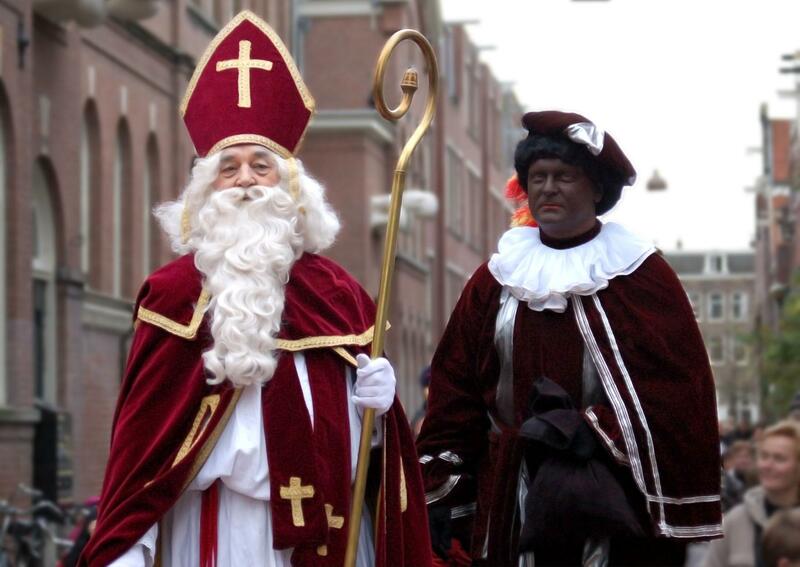 He always chooses his friend from the early pre-North Pole days named Zwarte Piet who Santa calls Peter. Santa met Peter while making his first Christmas deliveries in Spain. They quickly developed a friendship over their common interest in Christmas. Peter promptly became Santa’s, right-hand man. However, he was simply a human with no special powers so he eventually died of old age. Peter now resides in Heaven as an outspoken supporter when Santa does something controversial that the Archangel hierarchy questions. 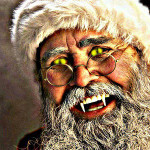 Each year he is resurrected for one day to aid Santa, and have his back if attacked in human form. 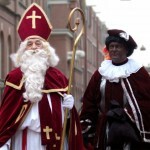 Zwarte Piet also attends dinner as an angelic spirit at North Pole City on Christmas. Peter aids Saint Nicholas where needed while providing moral support for the impending test of Demi-Angel status. He is in charge of distributing the coal to those with less than pure intentions. Unfortunately, Zwarte Piet doesn’t have any special powers in his resurrected human form. However, if things get bad he can revert to ghost status and the limited powers that come with it. This is a last resort since he prefers to enjoy his one day a year on Earth as a human. He is also aware of the Heavenly edict that Santa preserve his mortality with no supernatural help if possible. Zwarte Piet has recently become a controversial figure due to racist portrayals utilizing blackface aka the use of black makeup on non-black performers. Peter is a Moor descended from Africans. Plausibly finding Africans to portray him would be a more reasonable option. Even better just ignore skin color and have anyone portray him. It’s no different than people of all races acting as Santa Claus. All with the Spirit Of Christmas in their hearts have a right to partake of the seasonal magic and act out Christmas characters for everyone’s joy! At the first light of dawn on Saint Nicholas Day Santa attends a different church service each year before embarking on his perilous journey as a true human. 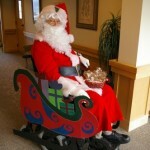 Even as he makes his Saint Nick’s Day deliveries his memories of being Santa Claus fades away. Only memories of being Nicholas of Myra are left once in church. After the church service, Peter and Snowflake The Horse bids him farewell as Santa embarks on his true trial of immortal Demi-Angel worthiness. For 3 days, and nights he will be sent out into the human world to live as a mere mortal. Santa’s Father the Archangel Sarandiel teleports him to a random location with absolutely no memory of who he was. Santa ends up wearing whatever clothing is appropriate to his location. There various obstacles and challenges will be placed before him to deal with. It’s during this time he is at his most vulnerable to attack by paranormal beings of darkness! Thankfully his identity is magically cloaked! Generally, Saint Nick’s trials involve him helping out someone in need even amid his own amnesia. Other times a false identity complete with manufactured memories are implanted to make him believe he is someone else. In quite a few cases memories and physical records must be paranormally planted to support his new alter ego. A number of times he’s been a Priest, a volunteer worker, and even a police officer. The Archangels of Heaven love coming up with new scenarios every year! In the end, he must save the person or group of people in a selfless manner. Naturally, the Archangels could simply put Santa into a deep sleep and have this all take place in his mind. However, it must be real life with true consequences for all concerned! The Return To Sainthood And Angelic Superpowers! On December 9th at Midnight his memories of being Nicholas Of Myra begin gradually returning. As the first light of holy dawn manifests his memories of being Santa Claus return. However, his immortal Angel powers are not back yet! The Archangel Sarandiel appears to inform Santa if he passed his annual test of Demi-Angel fitness. If he passes then his spirit briefly enters Heaven to commune with Angels & Saints while his body lies dormant. Thankfully his powers are restored so if anyone tries to attack him they will most likely fail. Upon returning to his body he is promptly teleported back to North Pole City to resume his Christmas production preparations. 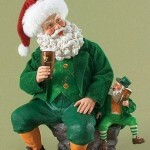 If he were to ever fail his test of immortality then Santa would remain a powerless mortal for one year. At the end of that year, his life would be judged, and he could possibly return to his Demi-Angel life. Three failures in a lifetime would equal permanent mortal status, complete memory wipes, and banishment from North Pole City! That could very well spell the end of Christmas forever! Since his power is the heart of the Christmas Spirit, and the fuel of North Pole City, it would eventually fade away forcing the Elves, Enchanted Reindeer, and all inhabitants to leave as Mother Earth’s Arctic elements reclaim it! We regret to inform you that Santa actually failed his first trial hundreds of years ago no thanks to the Anti-Claus tricking him! So there’s two more left! We have faith Santa won’t ever fail the test ever again! Especially since the Devil seriously messed with him in 2013, and he passed! Pray For Santa Claus’s Safety And Victory! We wish Saint Nicholas good luck as a human this week! His human status officially begins at Midnight December 6th. If he lives to see Midnight December 9th, while passing his Heavenly trials, then he will renew his immortality and Earthly Angelic powers as Santa Claus for another year. If however, some nefarious entity manages to take him out then he must ascend to Heaven as a full Angel, and give up life on Earth! Christmas would be in deep jeopardy considering that the Spirit Of Christmas, the mystical nature of North Pole City, and most of the supernatural beings that reside within are linked to Santa’s Earthly presence. Still, there is faith that Mrs. Holly Claus, Santa’s son Nick, Jr, or even his younger daughter Mary, could be up for the task to take over the title of Christmas King or Queen. 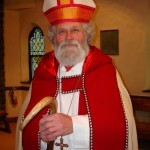 Perhaps Saint Nicholas could somehow get Archangel permission to send his spirit forth to keep Christmas alive! 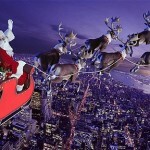 If by some chance you run across Santa Claus in danger then it’s your duty to protect him with your life! Despite his human status those with the Christmas Spirit in their hearts will feel it is him. Many others will feel there is something special about him. 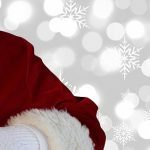 If you get a unique warm fatherly feeling for a white bearded gentlemen then he could very well be Santa! Pray for him, and the continuation of Christmas this year! 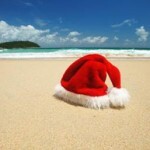 Christmas In July! What Did Santa Claus Do On The Fourth Of July? This entry was posted in Anti-Claus, Christmas Stories, Demi-Angels, Santa Claus and tagged Saint Nicholas. Bookmark the permalink.